April is Earth Month, and I have been brainstorming new ways to waste less and recycle more. I am joining in the #LessWasteChallenge this month and am pledging to reduce 1 lb of waste per week, through the month of April (and maybe longer!). One of the easiest ways to waste less is to upcycle bath and beauty containers once the product is gone. Soap, shampoo and even mouthwash containers can be re-purposed in a thousand different ways! You can transform them into utensil holders, storage for children’s art supplies, or even diy plant pots. 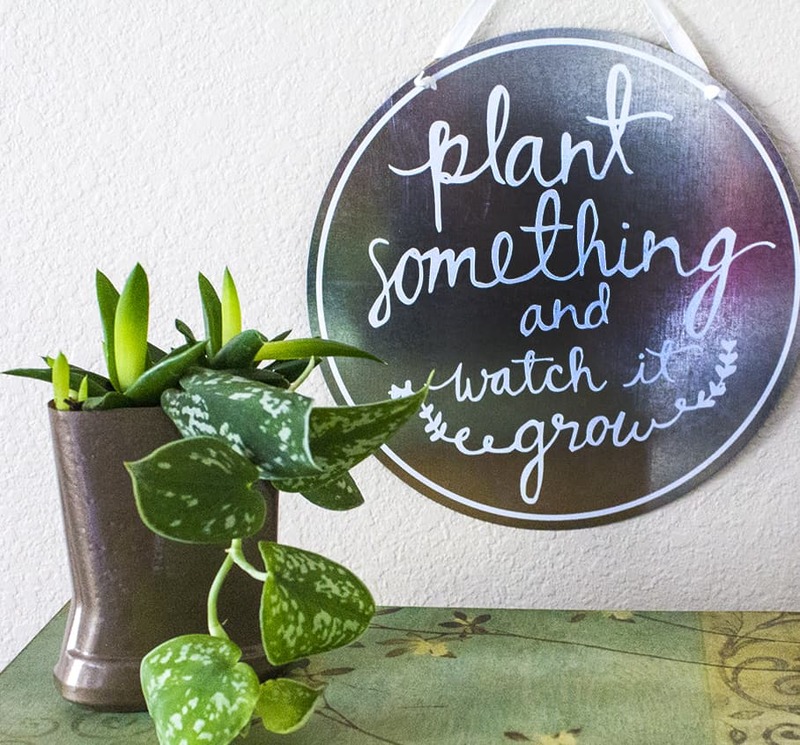 Re-purposing items that you’re going to throw away is such a great way to waste less, and get some really cool, inexpensive house decor in the process! I picked up most of my supplies (including that adorable Plant Something sign) at Target, and used their Cartwheel offer to snag a great deal! Start by removing any labels on the container. Once you peel off the label, if you have any residual glue, I have found that olive oil does a great job of painlessly removing the glue. 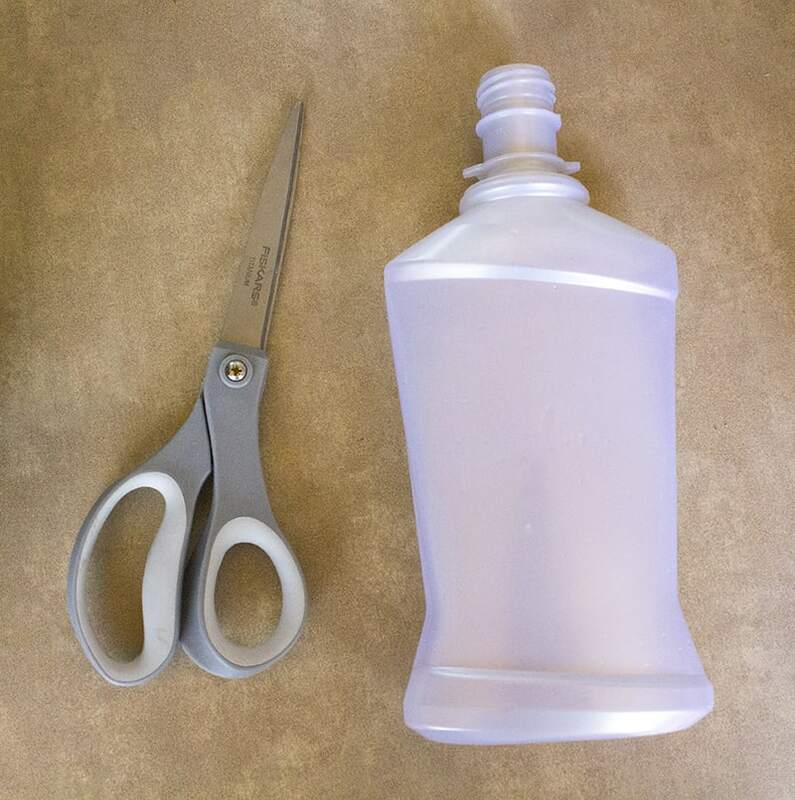 Once the container is label-free and dry, cut off the top of the container, getting the edges as even as possible. Next, you’ll place your container on cardboard (or another surface you don’t mind getting paint on), and you’ll apply spray paint to all sides. Do this outside, or a very well ventilated area. Allow to dry. Once completely dry, fill the container 3/4 full with soil. 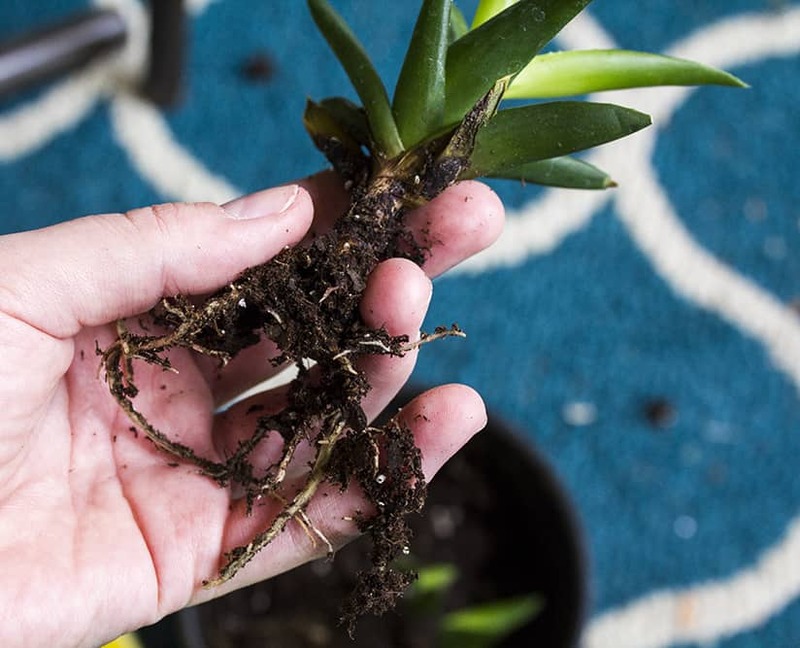 Take the plant you’re potting, and gently remove as much dirt from the roots as possible. 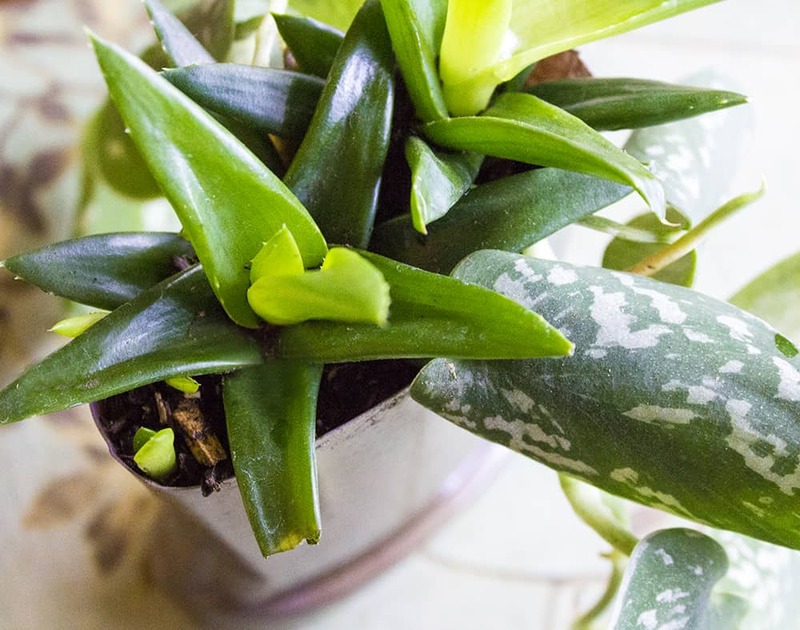 Gently place roots down into the soil of the new pot, and fill in soil around the roots and base of the plant. Gently pack in as much soil as possible around the plants. Lightly water, and press down the soil once more, adding more soil if necessary. 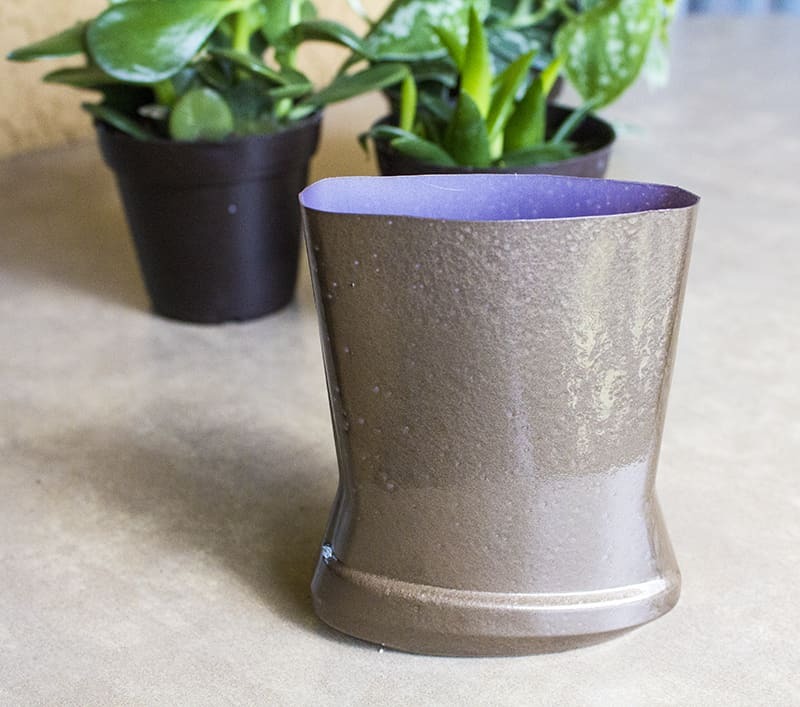 Place your DIY Plant Pot in its new home and water as needed. And enjoy! This is a great activity to do with kids! My 6 year old helped select the plants we planted, and she settled on succulents after we discussed how little water they take to survive. Then she selected the color of spray paint for the pot. To help celebrate Earth Month, consider swapping out your personal and oral care products with natural products that are better you AND the environment. Many years ago, I switched my toothpaste over to Tom’s of Maine®, and since then, I have become brand loyal to their other products as well! Tom’s of Maine® is a great company to support, because they make their products without artificial colors, flavors, fragrances or preservatives. Their products are packaged in recyclable materials through TerraCycle®. They don’t test on animals, and 10% of their profits go to human and environmental goodness. They are helping families bring better-for-you products into their homes, while keeping waste out of landfills, to help future generations. Tom’s of Maine® has some exciting products that you can only find exclusively at Target: Sensitive Fragrance-Free body wash and soap bar, Kid’s Gel, and Toddler Value Pack. Visit Toms of Maine’s website for more information. 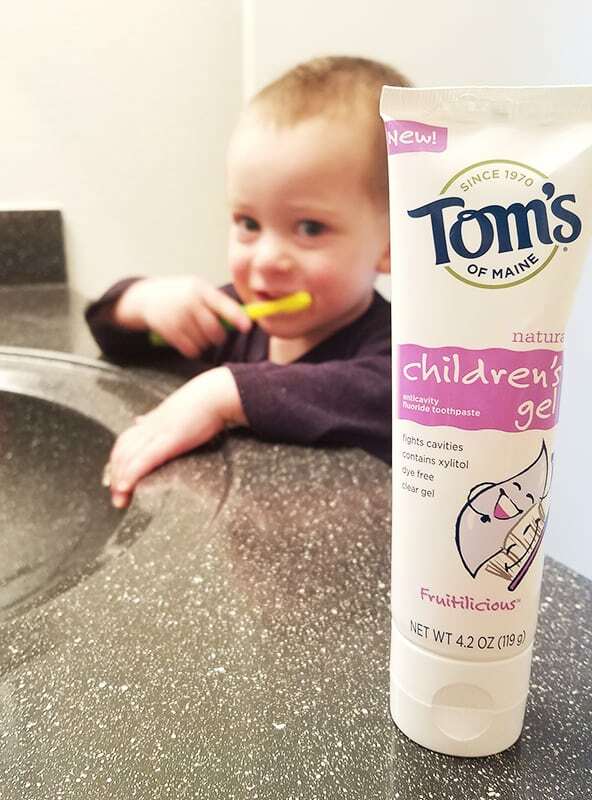 My kids have been using Tom’s of Maine® toothpaste since they had teeth to brush, so we were excited to try the Kid’s Gel. They both loved the flavor, and I love that it’s dye free and natural! I hope you’ll pledge to join the #LessWasteChallenge this month! Share your efforts and ideas on your social media, to inspire others to participate. Together, we can make a big and positive impact on the environment! I love DIY projects. This is something I can add up to my collection of recycled and upcycled materials in the garden. that’s awesome and great way to recycle. i’ll have to remember this. Tom’s is great company. I would love to make my own pots at home. It’s important to do what we can to help out the environment and this is a pretty awesome idea! I so love the idea of making your own pots at home. I like how this one looks! It’s really not that difficult to make either. Perfect for helping the environment. No doubt recycling is a good idea. But when you think outside of the box and do something nice, it gives one a feeling of satisfaction. I loved the idea of recycling plastic container like mouthwash bottle. I never thought of this before. Lovely. I love recycling and upcycling things I would otherwise throw away. This is such a cute idea, I’ll have to give it a try. What a great way to celebrate Earth Day with the kids. I love this idea and will be making some of these soon! This is a cute idea. I like how simple it is to follow through too. We love Tom’s of Maine! I would have never thought to make plant pots out of them! This is such a cute idea. This is just such a cute idea! I would have never thought to do this. What a great way of reusing plastic by creating something so contrasting. 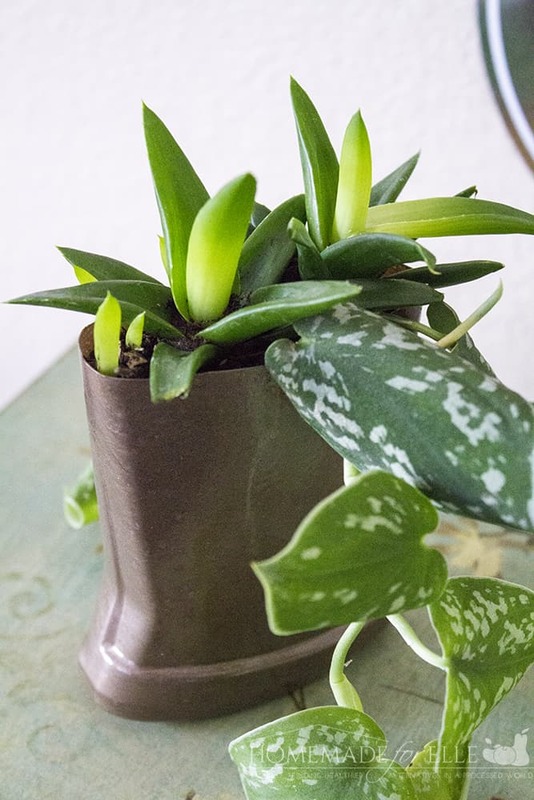 Plastic is so bad for nature and I love that you have actually used it towards the nature, by creating pots for your plants. Will definitely join this initiative! Let’s help mother nature and be involve by recycling reusable materials. This is a really cute idea. I never thought of upcycling half of a bottle like that. Great use of something and it looks awesome! You know I love this repurposed project! I’ve been adding more plants around my home to help clean the air (and make it pretty). Tom’s has great products that I trust for my family. Very cool was to recycle. I like that this company has a kids toothpaste too.